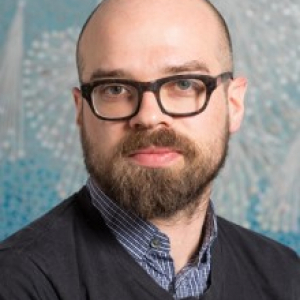 Martin Dittus studied computing in Berlin, worked as a software developer and project manager at the Internet startup Last.fm, and was awarded a master's degree at the Centre for Advanced Spatial Analysis (CASA) at UCL. His research focus at the ICRI Cities is to understand the interactions, tools, and processes of large data-gathering communities such as OpenStreetMap. He is particularly interested in informal means of data-driven knowledge production that don't have to rely on well-funded specialists, and in the challenges of coordinating large numbers of self-motivated contributors. Martin is a trustee of the London Hackspace, a community-run and non-profit workshop space in East London, with 900 members and growing. He is on the board of advisors of the Trampery, East London's fast-growing shared workspace. In 2013 Martin was one of the initiators of Hack the Barbican, where for a month a large number of participants across disciplines took over the foyer spaces of London's Barbican Centre. In 2012 he was an organiser of the Electromagnetic Field hacker camping festival, and previously he spent several months with Occupy London where he was involved in the coordination of this large and distributed community.